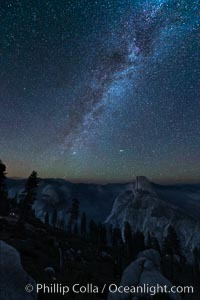 Perseid Meteor Shower and Milky Way, Andromeda Galaxy and the Pleides Cluster, over Half Dome and Yosemite National Park Meteor Photo. 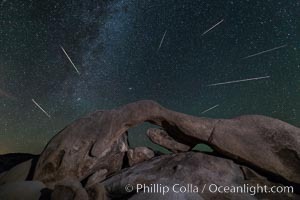 Perseid Meteor Shower over Arch Rock, Joshua Tree National Park, Aug 13, 2014 Meteor Picture. 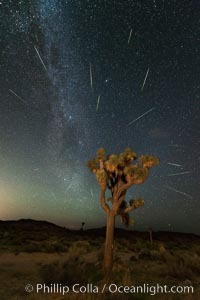 Perseid Meteor Shower over Joshua Tree National Park, Aug 13, 2014 Stock Photography of Meteor. 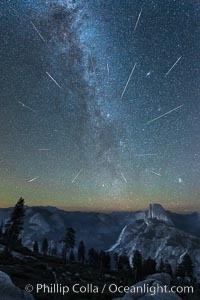 Perseid Meteor Shower and Milky Way, over Half Dome and Yosemite National Park Photograph of Meteor.